If you’re looking for the best WordPress affiliate marketing themes, you came to the right place. With so many themes putting affiliate marketing as a secondary priority, it can be difficult to properly showcase your referral products and links. When affiliate marketing is your primary source of income, you want a theme that’s designed to skyrocket your success! That’s why, in this article, we’re going to share the 27 best WordPress themes for affiliate marketing. Each one is mobile-friendly, and can be utilized to take your sales to the next level. Before choosing one of the best WordPress themes for affiliate marketing, you’ll need to build a website with WordPress. 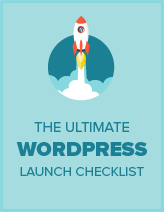 Make sure you choose the self-hosted version of WordPress before you get rolling. For more information, read our comparison between WordPress.org (self-hosted) and WordPress.com (hosted). Next, you’ll need web hosting and a domain name (URL). We recommend using Bluehost to acquire both. Bluehost is one of the best, most popular, hosting providers in the world and are officially recommended by WordPress. For IsItWP readers, Bluehost is offering a free domain name, free SSL certificate, and a massive discount on web hosting. You can get your website started for as little as $2.75/month! Once you have your hosting and domain name taken care of, install WordPress, and then pick one of the best WordPress affiliate marketing themes from our list below. Need help installing your theme? No problem. Read our easy step-by-step guide on how to install a WordPress theme. Without further ado, let’s check out the list of the best WordPress themes for affiliate marketing! With less whitespace, simpler headers, and smaller fonts, the Tokoo theme ensures that your visitors’ eyes are on what matters most: the products you’re referring. Tokoo includes 5 unique home pages and 17 different blocks to work with. Using a page builder plugin, you can easily mix and match the blocks given with the theme to form your own gorgeous layouts. Even if you use a ton of images to advertise the products you’re marketing, Tokoo won’t slow down. It’s lightweight and optimized for speed. Colors and headers are completely customizable, allowing you to create you to style your affiliate marketing website to match your personal brand. Menus can be positioned horizontally or vertically. And the powerful search bar is integrated with Algolia so your customers can always find what they’re looking for. Get Started with Tokoo Today! Electronics can make affiliate marketers a ton of money, and the Techmarket theme creates the perfect showcase to share those products with your customers. And, with a little tweaking, Techmarket can be used to sell shoes, gardening supplies, food recipes, and more! This theme is clean and features options for horizontal or vertical navigation menus. It also features heavy integration with WooCommerce and its addons. Get Started with Techmarket Today! Yozi is another crisp, modern eCommerce theme that’s perfect for showcasing multiple products for sale. With multiple home page layouts, unlimited Google fonts, and endless color choices, Yozi is highly customizable to match your personal brand. It also comes with several premium plugins included at no extra cost, such as WPBakery and Slider Revolution. Get Started with Yozi Today! Ultra is one of our top WordPress themes for all website owners, so it stands to reason it’d pop up on our list of the best WordPress themes for affiliate marketing. One of the most popular themes created by Themify, Ultra comes with over 60 pre-designed layouts and an intuitive-yet-powerful drag and drop builder. Ultra is the perfect theme to use if you want to create a blog to sell your affiliate products. Want more information? Read our full review of the Ultra theme. With a sophisticated homepage layout featuring a large image slider on top, Hugo was specifically designed to increase your conversions and sales. Hugo’s homepage is fully widgetized so you can simply drag and drop content widgets to get it looking exactly how you want it to. It comes with multiple widgets for product categories, showing off items, write content, and more. It’s also fully integrated with WooCommerce. Get Started with Hugo Today! The Compass theme is perfect for magazine, news, or blogging websites. It’s highly customizable and features a dynamic homepage builder, content sliders, custom categories, and a 1-click demo installer. Compass also includes a breaking news ticker built-in. Increasing its customization options are unlimited colors and fonts, as well as social media widgets, custom logo options, and multiple page templates. Get Started with Compass Today! Thanks to gorgeous parallax floating effects and parallax scrolling, you can create the perfect landing page for your affiliate marketing products with Float. Thanks to its easy-to-use integrated page builder, you can quickly create engaging pages for your customers to scroll through. It’s also highly customizable with unlimited colors, custom widgets, custom backgrounds, and so much more. Get Started with Float Today! If you’re looking for a news or magazine-style layout for your affiliate marketing blog, Alpha is the theme for you. Alpha includes a breaking news ticker, custom image sliders, and custom page templates. It also includes special widgets for ads and social media platforms. Get Started with Alpha Today! Hestia is fully integrated with WooCommerce and can be used with all the most popular page builder plugins. Plus, thanks to the live theme customizer, you can easily build your perfect affiliate marketing website. Simple to set up and use, Hestia features companion plugins to add testimonial and other useful sections to your home page. Suarez is perfect for affiliate marketers who prefer to sell with image-heavy content. It’s a WordPress photo-blogging theme that puts the focus primarily on images, making them stand out beautifully against your text. With its drag and drop builder and live customizer, Suarez is insanely easy to set up and use. It’s also got wonderful customization options including unlimited Google fonts, an image slider, and tons of CSS animations. Get Started with Suarez Today! Indigo features multiple ready-made websites and demos that you can install and use to get started. It also comes with multiple templates, header styles, sidebar options, and more to make customization hassle-free. Showcasing your affiliate links and products is effortless thanks to Indigo’s drag and drop modules. You can create any layout you can imagine with ease. Get Started with Indigo Today! Brought to you by StudioPress, Smart Passive Income utilizes the ever-popular Genesis framework to make it a powerful affiliate marketing WordPress theme. Smart Passive Income is WooCommerce-ready, and allows you to change your sites colors and overall appearance via its theme options panel. It even features a live preview so you can see your changes as you make them. Get Started with Smart Passive Income Today! If you’re running a content-rich affiliate marketing campaign, then Baseline’s magazine-style theme is perfect for you. It focuses on text with elegant typography, and subtle image display, so that your content can truly be king. Baseline includes a featured content slider, gorgeous headers, infinite scroll options, and multiple layouts. Get Started with Baseline Today! Lenscap’s crown jewel is its customizable content carousel for featured content. However, its other features, which include a sophisticated layout and beautiful typography, make it a standout theme for affiliate marketers. Looking to refer your products with photos and videos? Then you’re going to love Lenscap’s lightbox popup display options. It also includes multiple color schemes, and is incredibly easy to set up and use. Get Started with Lenscap Today! If you’re looking to build a first-class affiliate marketing store, Neto is a great choice. The Neto theme comes with full WooCommerce support, and works perfectly with all your favorite page builder plugins. Neto features options for extended product descriptions, multiple blog templates, social media widgets, and more. Get Started with Neto Today! The Atomic theme will help your affiliate sales explode with its fantastic typography options, amazing image displays, and customizable headers. Atomic is WooCommerce-ready and includes areas for customer testimonials and product galleries. Get Started with Atomic Today! Nayma is easy to set up and get rolling with thanks to its 1-click demo content installer and 8 ready-made websites. It also includes an intuitive drag and drop builder that you can use to quickly create your own layouts. It features modules for testimonials, pricing tables, image sliders, and more. Nayma also comes will full WooCommerce support. Get Started with Nayma Today! Dorsa is great for those who like to utilize videos to sell their affiliate products. It supports video thumbnail plugins, which work well with its unique grid layout. It comes with WooCommerce support, a customizable slider, and multiple post styles. Get Started with Dorsa Today! If you have a review website that’s doing double-duty as an affiliate marketing site, aReview is the theme you want to use. It comes with a handy list of recommended free plugins especially for professional reviewers. aReview is free from the WordPress themes repository, and features a lovely content carousel, custom backgrounds, and access to a plethora of Google fonts. Get Started with aReview Today! Brittany is a fun little blogging theme that works well for affiliate marketers who are looking for a more personal flavor. It has several page templates and layout options to make set up a breeze. You’ll also have multiple widget areas to work with to add features, like social media integration, to your site. Get Started with Brittany Today! Everly is a great minimalist blog theme that works great for content-heavy affiliate websites. It includes 4 homepage layouts, 4 blog layouts, customizable colors, multiple post templates, and several photo gallery options. This theme also includes dedicated ad blocks, social media integration, and a fully-functional slider plugin. Get Started with Everly Today! If you’re looking for a stylish magazine layout for your site, Binder Pro is a great choice. It’s perfect for content-rich websites and blogs, and uses a simple drag and drop builder so you can create your own unique layouts. Binder Pro comes with 7 ready-made websites you can use as a starting point. It works really well for multilingual websites, and features WooCommerce support. Get Started with Binder Pro Today! If your focus is primarily on coupons, then Clipper is the theme for you. It includes an unlimited coupons store, a coupon submission form, and options to cloak and track your affiliate links. Clipper has 5 creative color schemes, is translation-ready, and is incredibly easy to set up and use. Get Started with Clipper Today! Locales is perfect is you’re looking to create a local business directory. It comes with a user submission form to let you accept user-submitted content for your site, as well as a complete directory management system. Locales has a 1-click demo installer to help you get started quickly. For even more ease-of-use, it has its own drag and drop page builder so you can create your own gorgeous layouts. Get Started with Locales Today! Minimal-yet-bold; choose Chosen as your theme if you really want to grab your visitors’ attenion. It’s perfect for showcasing fashion, office supplies, video games, or food products via its simple single-column layout. It also comes with WooCommerce support. Get Started with Chosen Today! PageBuilderly comes with the Beaver Builder page builder plugin, and can be quickly and easily customized to look exactly how you’d like. It also comes with several ad blocks so you can utilize affiliate programs like Google Adsense to maximum advantage. Check out these best Beaver Builder themes. Get Started with PageBuilderly Today! PhotoBlogster was designed for photography blogs; however, that’s exactly what makes it such an effective affiliate marketing theme. If you run image-heavy campaigns for your affiliate products, PhotoBlogster is a great choice for showcasing them in a modern, effective way. Search engine optimized, this theme also works well with Google AdSense. It comes with a choice of light or dark layouts so that your theme can fit your site’s overall mood. Get Started with PhotoBlogster Today! We hope this article helped you discover the best WordPress affiliate marketing themes! If you found this post helpful, you might also like our list of the best WordPress plugins for affiliate marketers.